I appeal to the authorities to intervene with urgency on the ancient building found on St Paul’s Island, close to the renowned statue. Stanley and Robert Farrugia Randon, in their booklet Comino, Filfla and St Paul’s Island (Malta 1995), describe in detail its interesting history. It was in use until just before World War II by the farmer Vincenzo Borg, nicknamed Ta’ Bajdafin. The three-chambered structure is characterised by a heavily buttressed wall at its lower level, giving it the semblance of a military tower. In recent decades, the structure deteriorated rapidly during which time much of the upper room collapsed. I strongly urge the government, through its Restoration Unit, to save the farmhouse as has been recently done with Għajn Żnuber tower. 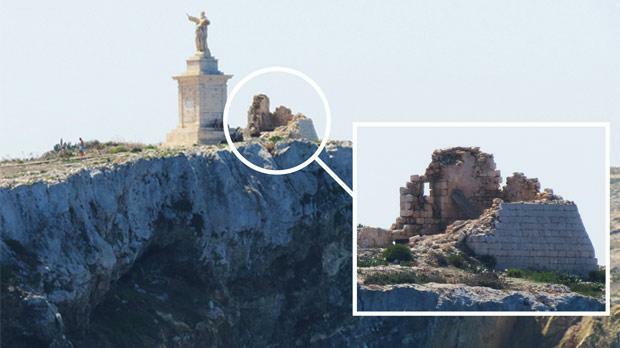 With its repair, the ancient profile of St Paul’s Island will be reinstated.